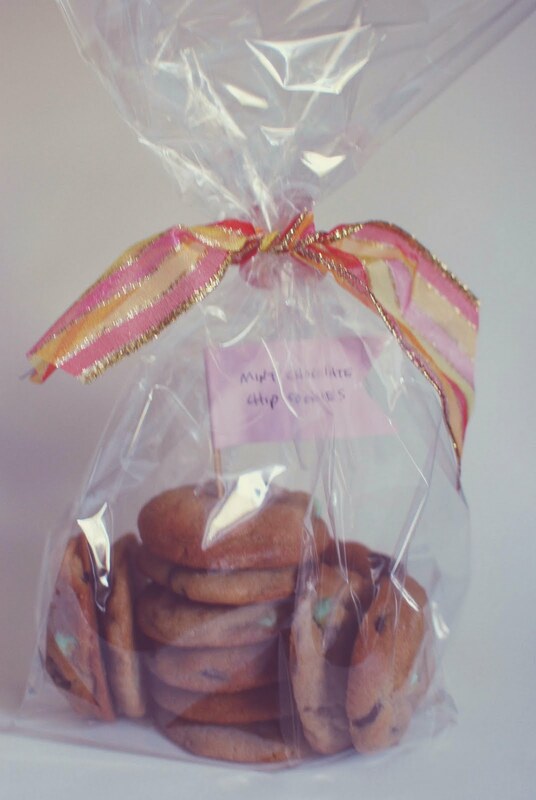 I made & packaged these mint chocolate chip cookies for some friends & they all said they really enjoyed them. I just used my favorite chocolate chip cookie recipe & substituted the plain chocolate chips for a bag of mint chocolate chips. to me, nothing beats an original chocolate chip cookie; but these were a nice change.